It’s happened to all of us: we’re presented with information and yet we forget it. Why does it happen? One of the most common reasons is because our attention is elsewhere. It’s similar to what happens when a student is attending a lecture, yet is simultaneously spending time on their smartphone. While they may be physically present in the lecture, their divided attention leads to a failure to retain most, if not all, of the information taught. Another reason we don’t encode information is because we don’t see it as relevant. If you’re training employees and they don’t see content directly related to their job or their career growth, they’re likely to lose focus and fail to embed the information in their memory. The third most commonly cited reason we don’t manage to remember information is because our brains feel like they’re being bombarded with too much information at once. Your brain has only a certain threshold of information it can process. If you inundate the brain with huge amounts of data, it will selectively decipher what to retain and what to let go. 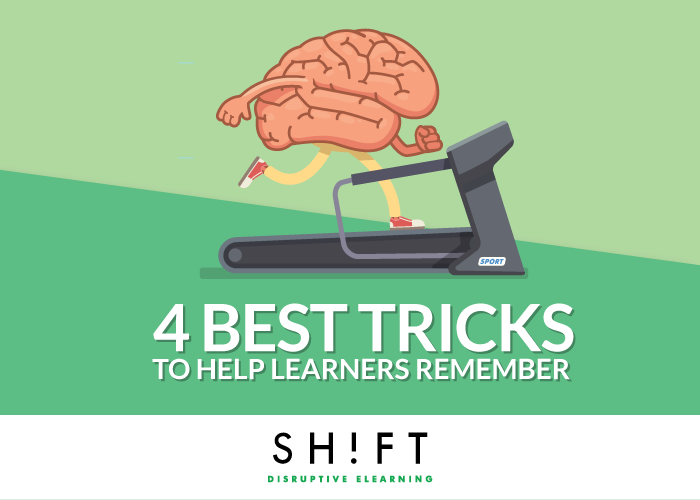 Once you understand why our memories may not encode information, the next step is to uncover solutions that allow you to create more effective eLearning to avoid these potential retention pitfalls. Rexi Media, a leader in creating content and presentations based on brain science, highlights four tricks that help grab and retain the attention of your learners. Where will your student look first? What is the most important bit of information on each screen? How are you making the most important content stand out? Asking yourself these questions will guide you through the design and allow you to create the most attention-grabbing courses. 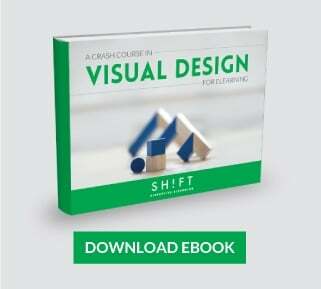 You ultimately have control over where your learners’ eyes go first, and you can guide them through the learning process with smart instructional design. Size: The larger an object, the more salient it will appear. Color: Attention-grabbing content design doesn’t necessarily mean the content has to be one color over another, but instead any color deviation will draw the eye toward that content or visual element. For example, if there’s one particular point you want learners to cling to on each screen, make that piece of information a different color than the text around it. Contrast: The eye is inherently drawn to a sense of contrast—e.g. light text on a black background or black text against a light background. Within a set of content, there’s also the idea of logical contrasts—for example, grouping four objects together, with one of those objects being obviously different. 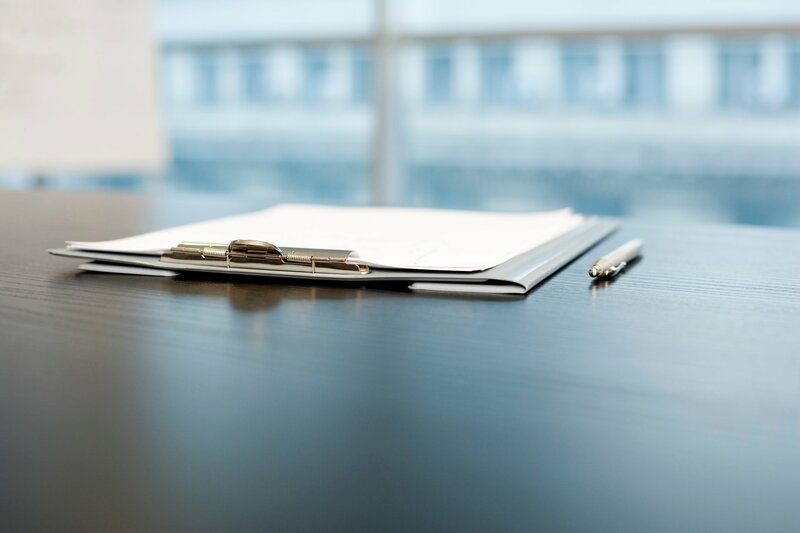 Whitespace: Your learners need plenty of whitespace surrounding content because it provides a sense of differentiation and is also easier on the eyes than a screen filled with text and images. Guiding Features: You can guide the eye using visible elements like arrows, or even something as subtle as providing a sense of natural direction within a photo. Visual Weight: Create dominance within an eLearning screen by giving a particular object more weight than the other elements on the screen. According to German scientist Hedwig Von Restorff, our brains begin to ignore content that feels the same. When there’s differentiation or a piece of content stands out in some way, it brings attention and thereby improves retention. Let’s say you have a screen that’s text-heavy and you want to make sure the content sticks in your learner's head. Simple changes like differently sized text or styling elements in the middle with a different color than the rest of the content can make them stand out. You could also make content stand out by including a funny video or a visual metaphor. Also, when telling a story, use a believable but unconventional plot, character name or place. The more deeply a learner processes the content, the better he or she will remember it. This effect, which was identified by Fergus I. M. Craik and Robert S. Lockhart in 1972, illustrates how the depth of mental process falls on a shallow to deep continuum. Shallow processing is susceptible to rapid deterioration, while deep processing leads to a more durable and stronger memory trace. Consider this situation: You’re training employees on workplace safety topics. They’re divided into two groups. The first group simply reads text explaining the steps they should take to remain safe and compliant. The second group is presented with the information, and then asked to review several different workplace scenarios, and determine how they would respond to each. Which method is going to have the most impact on learners? More than likely it would be the second since trainees were asked not just to learn concepts, but to apply them. The reason is that they went beyond merely reading information and were instead asked to analyze the words and go past the superficial to gain an understanding of usage. The deeper you can get learners to go, the better they’re going to remember information. A few ways to do this in eLearning are the inclusion of scenarios, case studies and/or images that build on existing knowledge of your learners. Critical thinking is also key to deeper processing, so consider asking learners to delve into content, form their own conclusions and then use the information they’re learning to review their findings. Adding learning incentives and quizzes will also encourage learners not just to review information, but contemplate it. The more you can make eLearning into a personalized experience, the more learners will take away it. Humans tend to have a longer attention span when they find it relevant and when they’re either doing something that has an intrinsically motivational element. Content is important, but learners don’t just need to know what they are supposed to learn, they want to understand the practical application of that content. Perhaps it is important to understand that A+B = C, but what the learner wants to know is how arriving at C will help them do their job better. You must appeal to the WIIF because you are talking to a human being even in an online context. Build personal eLearning that plays off the emotions of the audience and triggers distinct feelings. As Cicero once said, “Ticking and soothing anxieties is the test of a speaker’s impact and technique,” meaning the best way to capture attention is to remind your audience of a need, a point of pain, or a threat to their well-being, while then providing them with an attainable solution to these issues. By getting to know your audience, including their challenges, fears, and goals, you can capture their attention more fully, improve engagement and retention, and improve the quality of eLearning.